1. Information on how to enter forms part of the terms of entry. Entry into the Bachelorette Mitsubishi Competition (“Competition”) is deemed acceptance of these terms and conditions. 2. Entry is open to all residents of Australia aged 18 years and older. However, employees and the immediate families of Network Ten Pty Limited (the “Promoter”) and their associated agencies and companies or any organisation or individual associated with the provision of the prize(s) are not eligible to enter. Entrant must be residing in Australia at the time of entry, or their entry may be deemed invalid. Wednesday 5 December 2018 at 23:59 AEDT (“Competition Period”). It is free to become a TENPlay member, however, the cost of accessing the promotional website is dependent on the entrant’s individual service provider. These Terms and Conditions apply in conjunction with the TEN Members rules. Entrants who have won a Major Prize in any Network Ten competition in the past 12 months are not eligible to win a prize in this competition. A limit of one online entry per day per TENPlay member applies. Entries must be received by Wednesday 5 December 2018 at 23:59 AEDT to be included in the Prize Draw. Each valid entry received over the duration of the Competition Period will be entered into the Prize Draw. The time of entry will in each case be the time the online entry is received by the Promoter’s database. The Promoter accepts no responsibility for any late, lost or misdirected entries due to technical disruptions, network congestion or for any other reason. 12. The account holder is responsible for any activity and/or entries that have been submitted using their device (E.g. Phone, computer, tablet etc). It is the account holder’s sole responsibility to control any and all access to their device. The Promoter, and Ansible Pty Ltd, will not be responsible for any loss, damage or costs incurred as a result of failure to comply with this. Entrants must not use another’s device without express permission from the account holder. 13. The Promoter reserves the right, at any time, to verify the validity of entries and entrants (including an entrant’s identity, age and place of residence) and to disqualify any entrant who submits an entry that is not in accordance with these Terms and Conditions or who tampers with the entry process. Error and omissions will be accepted at the Promoter’s discretion. Failure by the Promoter to enforce any of its rights at any stage does not constitute a waiver of those rights. 14. In consideration of the Promoter awarding the prize to the Winner, the Winner hereby permits the Winner’s image and/or voice, as recorded, photographed or filmed during the Winner’s participation in the prize to appear in connection with Network TEN or the advertising or marketing thereof, in any media whatsoever through the world and the Winner will not be entitled to any fee for such use. 15. The Prize Draw will be held on Thursday 6 December 2018 at 10:00 AEDT at Ansible Pty Ltd, Level 1, 16 Anster Street, Adelaide SA 5000. 16. The Major Prize Winner will be notified by a phone call within two (2) days of the draw and in writing and the Winner’s details will be published on the TENPlay website at tenplay.com.au from Friday 7 December 2018. 17. An entry that is made on behalf of an entrant by a third party will be invalid. 18. If required, an unclaimed prize draw will take place at Ansible Pty Ltd, Level 1, 16 Anster Street, Adelaide,SouthAustralia5000onWednesday6March2019at10:00AEDT. Theunclaimed prize Winner will be notified of their prize by phone, in writing and Winner’s details will be published on the TENPlay website at tenplay.com.au from Thursday 7 March 2019. Prize car make, colour and model is subject to stock availability and will be at the absolute discretion of Mitsubishi Motors Australia Ltd.
20. The total Prize Pool is valued up to $39,380.00 (including GST). The Promoter accepts no responsibility for change in prize value between now the ultimate prize redemption date. 21. Any ancillary costs associated with redeeming the prize are not included. These are the responsibility of the Winner. 22. All prizes are non-transferrable. No cash alternative is available for any prize. Prizes must be taken as offered. Any prize, unused portion of any prize, or portion of the prize Winner is not entitled to, are not exchangeable or cannot be redeemed as cash. Prizes cannot be used in conjunction with any other special offer. Prize values are in Australian dollars. The Promoter accepts no responsibility for any variation in the prize values. Prize Winners are advised that tax implications may arise from their prize winnings and they should seek independent financial advice prior to acceptance of their prize. 23. In acceptance of the prize, the Winner acknowledges that they may incur ongoing costs associated with the prize which are the entire responsibility of the Winner. 24. Prize value includes all on road costs, and comes with vehicle registration. 25. The Promoter and Prize Supplier take no responsibility for petrol, comprehensive insurance, health, transport, body, paint or mechanical damage, or any other costs or damages, from the date of prize delivery. Additional options/accessories and all ancillary costs are the responsibility of the Winner. Unless expressly stated, all other expenses become the responsibility of the Winner. 26. The Promoter accepts no responsibility for the condition of the Major Prize Vehicle once dispatched to the Winner. 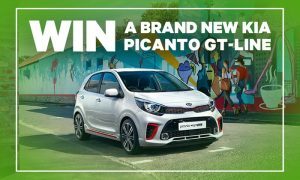 The Major Prize Vehicle comes with Compulsory Third Party Insurance only and the Winner of the Major Prize Vehicle will be responsible for obtaining any additional insurance at their own cost. 27. If the prize Winner does not hold a current Australian Driver’s Licence the prize will be awarded to an adult nominated by the Winner, who holds an Australian Driver’s Licence, on behalf of the Winner. The Winner may be required to sign a prize transfer – legal release to formalise the transfer. 28. The Vehicle make, colour and model is subject to stock availability and will be at the absolute discretion of Mitsubishi Motors Australia Ltd. Major Prize Details cannot be changed (ie. model/transmission/colour), and Prize must be accepted as stated above. Prize cannot be transferred (except as detailed in clause 27). Prize cannot be redeemed for cash and must be accepted as provided. 29. If the Prize Winner does not hold a current, open, unrestricted licence, they must arrange for the vehicle to be transported to their residence. Any costs associated with transporting the vehicle from the dealership are the sole responsibility of the Winner and the Promoter, and Prize Provider accept no responsibility for these costs. Delivery can usually be arranged through the dealership if required. 30. The Major Prize will be awarded and provided to the Major Prize Winner by Mitsubishi Motors Australia Ltd. The Major Prize Winner will be contacted to arrange delivery. Delivery can take up to 3 to 6 months depending on stock availability after the winner has been notified and confirmed details for vehicle registration and delivery. In some cases the prize delivery may take longer than estimated due to unforeseen circumstances. 31. Delivery of the Prize will occur through the Prize Winners’ nearest authorised Mitsubishi Dealer, which will be determined based on post code. The Prize Winner will must make their own way to the authorised Mitsubishi Dealer that is determined to be nearest, and costs associated with travel to and or from the dealership are to be borne by the Prize Winner. 32. 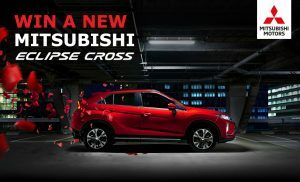 It is a condition of accepting the Prize that the Major Prize Winner agrees to abide by these terms and conditions, and the terms and conditions stipulated by Mitsubishi Motors Australia Limited which can be found at www.mitsubshi-motors.com.au. 33. If the prize is unavailable, for whatever reason, the Promoter reserves the right to substitute the prize for a prize of equal or greater value, subject to any directions given under State Regulation. 34. The Promoter is neither responsible nor liable for any damaged, delayed or lost in transit in the delivery of the prize/s. 35. The Promoter’s decision is final and the Promoter will not enter into correspondence regarding the Competition result. 36. It is a condition of accepting the prize that the Winner must comply with all the conditions of use of the prize and the prize supplier’s requirements. 37. In the event that for any reason whatsoever a Winner does not take an element of the prize at the time stipulated by the Promoter then that element of the prize will be forfeited by the Winner and cash will not be awarded in lieu of that element of the prize. 38. Personal information about all prize Winners will be shared with the prize provider, and their agents, to the extent necessary for prizes to be delivered to the prize Winners. 39. If the Major Prize Winner does not provide proof of meeting the age restriction and other valid entry requirements, the Major Prize will be forfeited in full, and the Winner will have no further claim. A re-draw will be held to award the Major Prize to a valid entrant. 40. Prizes will be awarded to the person named in their contestant entry. Should an entrant’s contact details change during the Competition Period it is the entrant’s responsibility to notify the Promoter. A request to access or modify any information provided in an entry should be directed to the Promoter. 41. It is a condition of accepting the prize the Winner may be required to sign a legal release in a form determined by the promoter in its absolute discretion. 42. Should the Major Prize Winner not meet any of the criteria stated in these terms and conditions to be a valid Winner they will forfeit all rights to the Major Prize, and a redraw will take place to reallocate the Major Prize to a valid Winner. 43. By accepting the prize, the Winner agrees to participate in and co-operate as required with all reasonable media editorial requests relating to the prize, including but not limited to, being interviewed and photographed, filmed and/or chaperoned throughout the duration of the prize. 44. If for any reason this Competition is not capable of running as planned, including due to infection by computer virus, bugs, tampering, unauthorised intervention, fraud, technical failures or any causes beyond the control of the Promoter, which corrupt or affect the administration, security, fairness or integrity or proper conduct of this promotion, the Promoter reserves the right in its sole discretion to disqualify any individual who tampers with the entry process, take any action that may be available, and to cancel, terminate, modify or suspend the Competition, subject to government legislation. 45. If your entry is selected as a winning entry, validation of your circumstances, the validity of your entry will be undertaken by the Promoter. Method of validation (without limitation) will be determined by the Promoter at its complete discretion. If the winning entry is deemed to be a Winner, the Winner will be notified as per the terms and conditions herein. In the event that the Promoter requests the entrant to sign any legal documents relating to the verification of their medical circumstance, the legal documents will take the form determined by the Promoter. It is a condition of accepting the prize the Winner signs any such legal documentation. 46. Nothing in these Terms and Conditions limits, excludes or modifies or purports to limit, exclude or modify the statutory consumer guarantees as provided under the Competition and Consumer Act, as well as any other implied warranties under the ASIC Act or similar consumer protection laws in the State and Territories of Australia (“Non-Excludable Guarantees”). Except for any liability that cannot by law be excluded, including the Non-Excludable Guarantees, the Promoters (including its respective officers, employees and agents) excludes all liability (including negligence), for any personal injury; or loss or damage (including loss of opportunity); whether direct, indirect, special or consequential, arising in any way out of the promotion and: (a) any technical difficulties or equipment malfunction (whether or not under the Promoter’s control); (b) any theft, unauthorised access or third party interference: (c) any entry or prize claim that is late, lost, altered, damaged or misdirected (whether or not after their receipt by the Promoters)due to any reason beyond the reasonable control of the Promoter; (d) any variation in prize value to that stated in these Terms and Conditions; (e) any tax liability incurred by a Winner or entrant; or (f) use of the prize. 47. If this promotion is interfered with in any way or is not capable of being conducted as reasonably anticipated due to any reason beyond the reasonable control of the Promoters, the Promoter reserves the right, in its sole discretion, to the fullest extent permitted by law: (a) to disqualify any entrant; or (b) subject to any written directions from a regulatory authority, to modify, suspend, terminate or cancel the promotion, as appropriate, subject to government legislation. 48. All entries become the property of the Promoter. The Promoter collects personal information about you to enable you to participate in this promotion but no further use of this information will be made without prior consent. 49. The Promoter shall not be liable for any loss or damage whatsoever which is suffered (including but not limited to indirect or consequential loss) or for any personal injury suffered or sustained in connection with any prize/s except for any liability which cannot be excluded by law. The Promoter is not responsible for any incorrect or inaccurate information, either caused by the phone user or for any of the equipment or programming associated with or utilised in this Competition, or for any technical error, or any combination thereof that may occur in the course of the administration of this Competition including any omission, interruption, deletion, defect, delay in operation or transmission, communications line or telephone, mobile or satellite network failure, theft or destruction or unauthorised access to or alteration of entries. 51. You consent to The Promoter collecting your personal information for the purpose of conducting and promoting this Competition (including but not limited to determining and notifying the Winner and prize fulfilment). Your personal information may be disclosed to a third party as a result of entering this competition, including but not limited to Ansible Pty Ltd and MultiChannel Network Pty Ltd. Your personal information may be disclosed to State and Territory lottery departments and Winners’ names published as required under the relevant lottery legislation. For purposes of public statements and advertisements The Promoter will only publish the Winner’s surname, initial and State. A request to access, update or correct any information should be directed to the Promoter. If you are not willing for this to occur you cannot participate in the promotion. 53. The Promoter is Network Ten Pty Limited (ABN: 91 052 515 250) of 1 Saunders Street, Pyrmont NSW 2009. 54. Permit Approvals: ACT: TP 18/01778, NSW: LTPS/18/28001, SA: T18/1626.